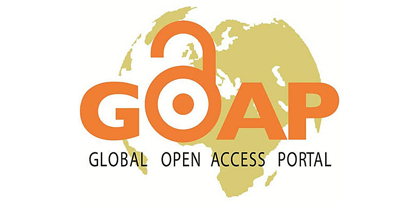 The Global Open Access Portal (GOAP) presents a snapshot of the status of Open Access (OA) to scientific information around the world. For countries that have been more successful in implementing Open Access, the portal highlights critical success factors and aspects of the enabling environment. For countries and regions that are still in the early stages of Open Access development, the portal identifies key players, potential barriers and opportunities. The portal has country reports from over 148 countries with weblinks to over 2000 initiatives/projects in Member States. The portal is supported by an existing Community of Practice (CoP) on Open Access on the WSIS Knowledge Communities Platform that has over 1400 members. The Global Open Access Portal (GOAP), launched together with the revamped Open Training Platform (OTP) and the first UNESCO Open Educational Resources (OER) Platform, provides the information for policy-makers to learn about the global OA environment and to view their country’s status, and understand where and why Open Access has been most successful. Development of the Global Open Access Portal has been made possible with support received from the Governments of Columbia, Denmark, Norway, and the United States. This GOAP will be a work in progress, and shall be further improved with the support received from the community of OA practitioners. Open Access is at the heart of UNESCO’s mandate to provide universal access to information and knowledge, and the UNESCO Open Access programme shall continue to facilitate policy dialogue in Member States, share knowledge and best practices in the field of Open Access, and build and share local capacities through North-South and South-South co-operation to build knowledge societies for sustainable development.